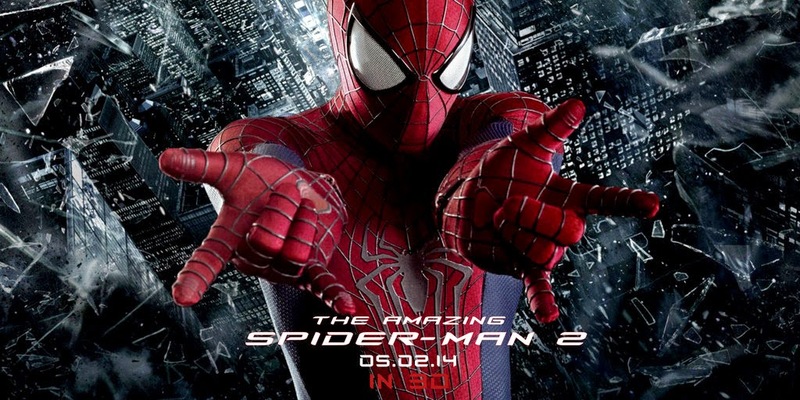 The Amazing Spider-Man 2 was terrible. I mean, it was really bad. Sure, there were some good performances. The action was decent, when it wasn't being interrupted by awkward teen romance. The CGI was great. But oh, wow, the sum of its parts was mind numbing. The plot is so full of holes [insert tired and true Titanic reference]. Sure, every superhero movie is filled with plot holes we happily look past because of: great acting, funny dialog, interesting story, fun action, deep emotion, Robert Downy Jr., etc. Too bad Amaz-balls Spider-Man 2 had none of this. The shear convenience of everything that happen in this movie blows me away. Every time you turn around something is exactly where the plot needed it to be. For no other reason at all. People can use highly complicated technology without ANY foreknowledge of it existence, let alone basic operation. The villains were so utterly stupid. So, so stupid. First villain be like "Hey, I met you once on the sidewalk, I love you! But now I hate you because I wanted my face on the billboard." Second villain be like "Hey, we knew each other ten years ago when we were like nine and you were my friend, so now I'll turn to you for life saving help. You won't help? I hate you." By the way, multiple villains in one super hero film is now officially played out. I'm calling it now. Pack it up. And holy banzai balls the interpersonal relationship scenes between Mr. Parker and Miss Stacy are just so, so awful. Maybe I am an old fart. No, I am an old fart. Just because I am an old fart who likes to say fart does not mean I like to sit through scene after pace shattering scene of mumbling and looking at your feet and indecision and oh look, ghost Dad causing guilt for three scenes early in the film and now he's gone because, cuts! I don't like this movie. I was okay with the emo reboot first one, but this is just garbage. Obviously, Sony plans to keep making these to hold onto the right so Spider-Man will NEVER be an Avenger. Which is fine I guess because good luck retconing him into Avengers 3 anyways. You really need to do more movie reviews!!! We've since seen so many good movies like X-Men, Malificent, Jersey Boys and more!